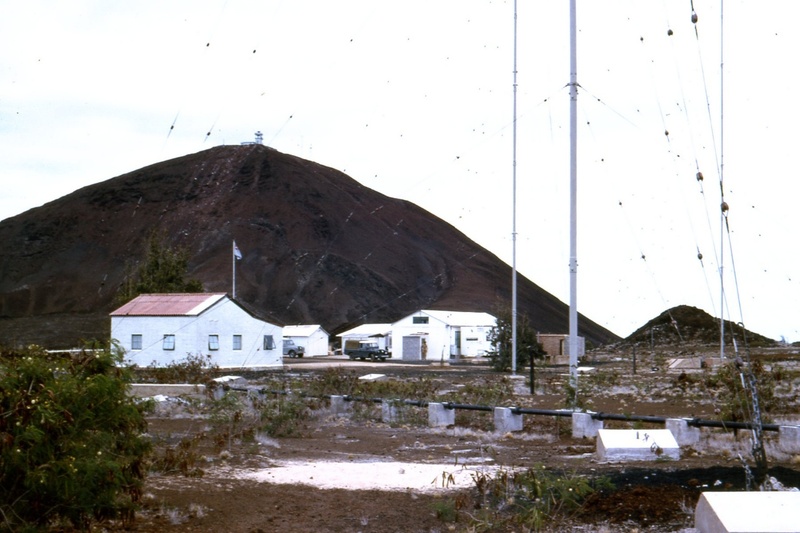 Until the outbreak of the Falklands war in April 1982 a good many people among the general public had never heard of Ascension Island, fewer I believe, even knew where it was. 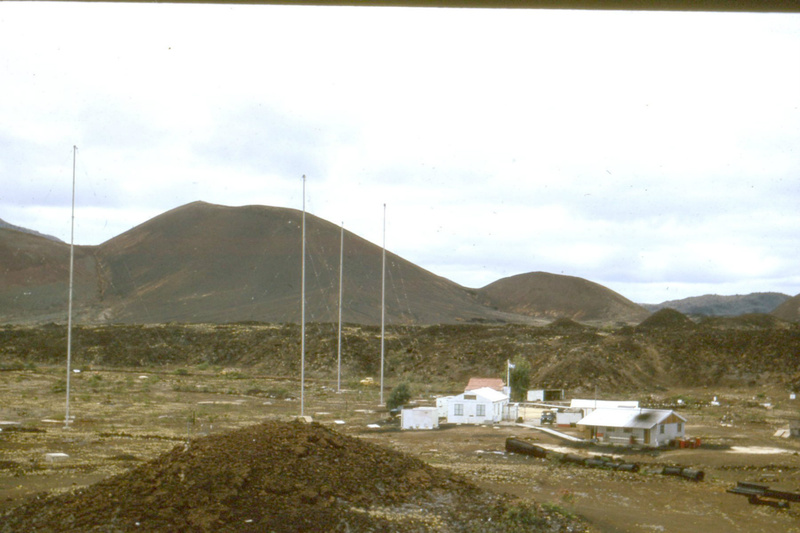 Ascension Island is lonely volcanic island in the South Atlantic approximately 1,600 kilometres from the African coast and 2,250 kilometres from Brazil in South America. In 1889 The Eastern Telegraph Company had presence on the island and with a change of name to Cable and Wireless were to continue to operate a communications set up there. It is now generally known that the US Air Force currently operates a Global Positioning System (GPS) there and one must assume that they also have an interest in Sigint operations in cooperation with the UK but here we are more concerned with events from around 1964 when the RAF took over such operations from the Royal Navy and the experiences of those stationed there. Prior to the outbreak of the Falklands war when new accommodation was provided for RAF personnel they lived on the USAF base. Here is a most interesting comment from one who was there: Quote: Our quarters were part of the visiting USAF pilots quarters, the food was excellent as we ate in the American mess . It was hilarious when there was a visiting RAF crew as they would wait until everyone else had eaten as the USAF officers stand in line with enlisted men. Our officers couldn't be seen doing that could they ??. Unquote. A fine example of the 'Class' system prevalent in the UK in contrast to a number of other countries in the Western World. The former RN intercept station operated by the RAF from 1964 is known as Two Boats, a lonely unaccompanied posting for the RAF personnel attached there from 399 Signals Unit at RAF Digby in Lincolnshire. Never personally being stationed there myself but conversations with former colleagues give the impression that, apart from not having their wives along with them there was much to be said in its favour. To start with the Island has a healthy climate with accommodation and dining facilities provided by the US Air Force that most found more than acceptable. There were the usual sports facilities and a good many took up and enjoyed fishing in the sea or simply enjoying walks exploring the island. A detachment to Ascension Island for some gave then an unexpected opportunity to see other parts of the world because of the lack of organised transport to and from the island. One former colleague tells of one such ‘pot luck’ journey when in order to reach there he flew civil air, BOAC in those days, to Recife in Brazil hung around there for three days then basically hitched a lift to Ascension on a USAF Hercules C130 aircraft. His return journey to the UK was via Pretoria, Mauritius, then to Gan, a Royal Air Force staging post in the Indian Ocean then finally by RAF transport to the UK via the Middle East. Not everyone was so lucky however, another former colleague tells me that his outbound journey was on board a RFA (Royal Fleet Auxillary) vessel that suffered daily from engine trouble and wallowed like a whale in the slightest sea swell. No doubt the people responsible for shipping personnel out to the Island simply looked at what available transport was going in that direction and selected anyone waiting to go on it. I would not mind betting though that no commissioned officer ever went by sea, if indeed any did serve there. Maybe someone will prove me wrong, I hope so.